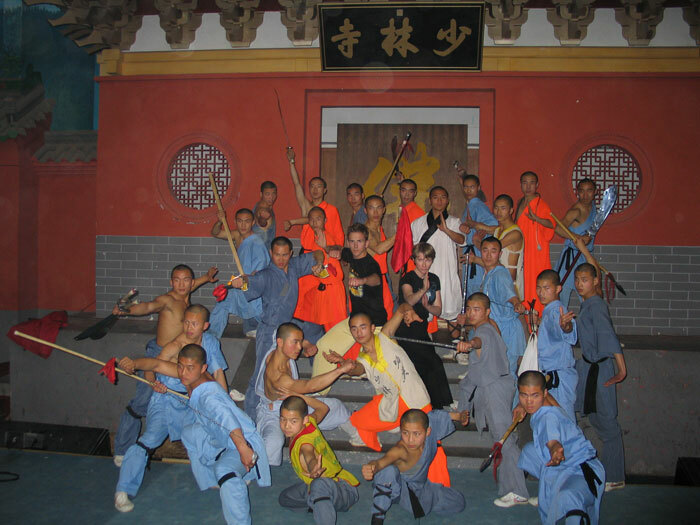 Press Coverage: “Oakland production company gets a kick out of Kung Fu,” NATAS Off Camera Newsletter, June 2006 (page 2). 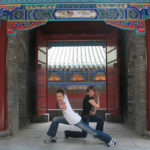 Master Wu Bin shares photos of his student Jet Li. 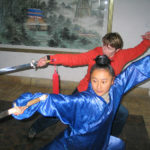 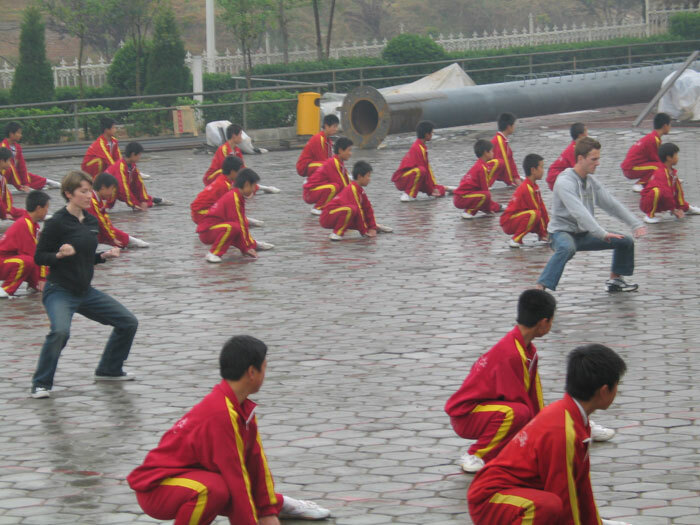 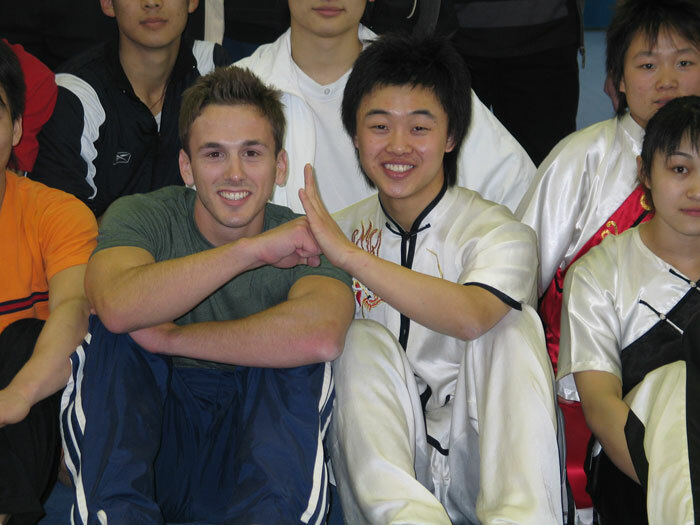 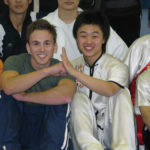 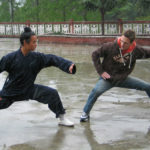 Adam perfecting techniques with Tiger, a Beijing Wushu School student. 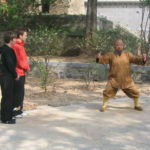 Master Xu teaches Imperial Kung Fu to Kristi and Adam. 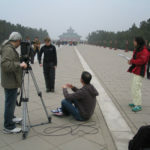 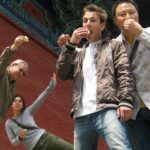 Kristi recaps Day 1 in front the Temple of Heaven, dating back to the Ming Dynasty. 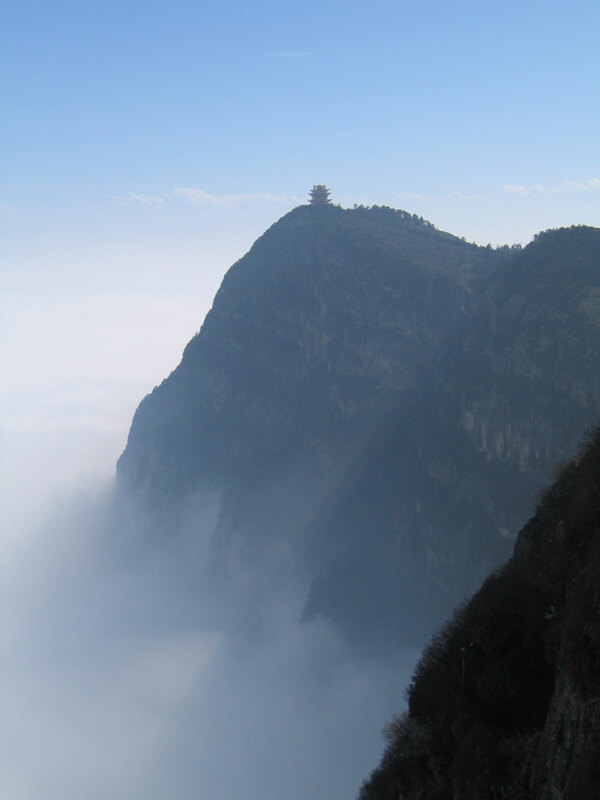 Wudang Mountain: Next stop, Hubei Province – the world’s most sacred Daoist area. 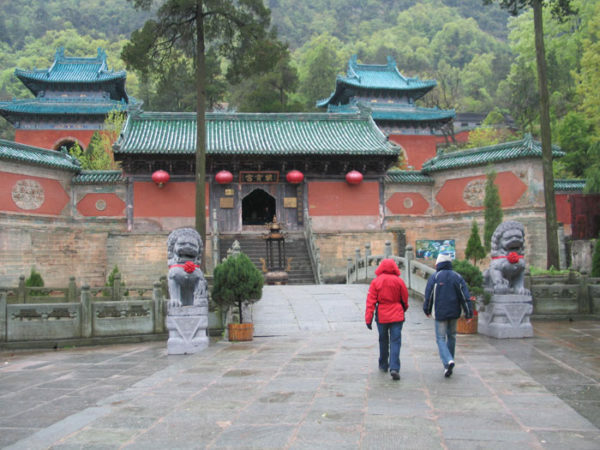 Kristi and Adam enter Purple Cloud Temple, the largest and best-preserved Daoist Temple in Wudang Mountain. 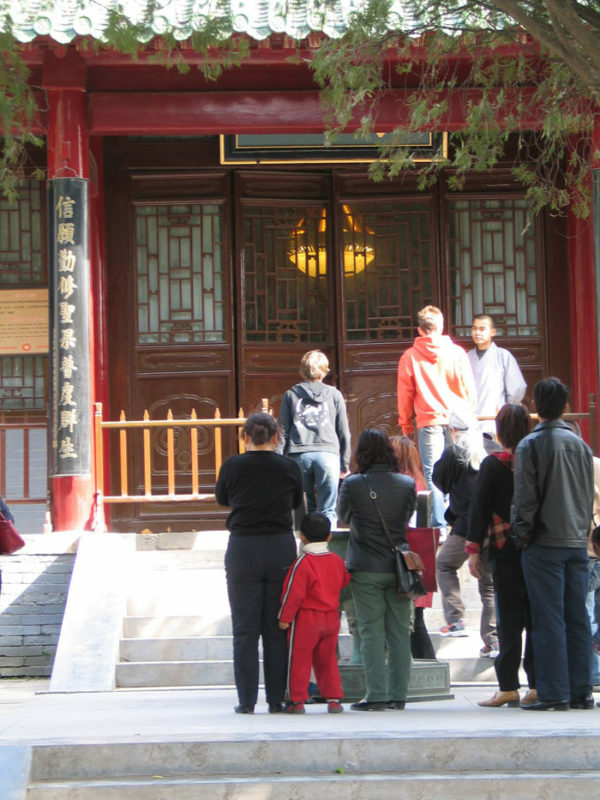 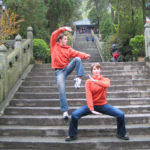 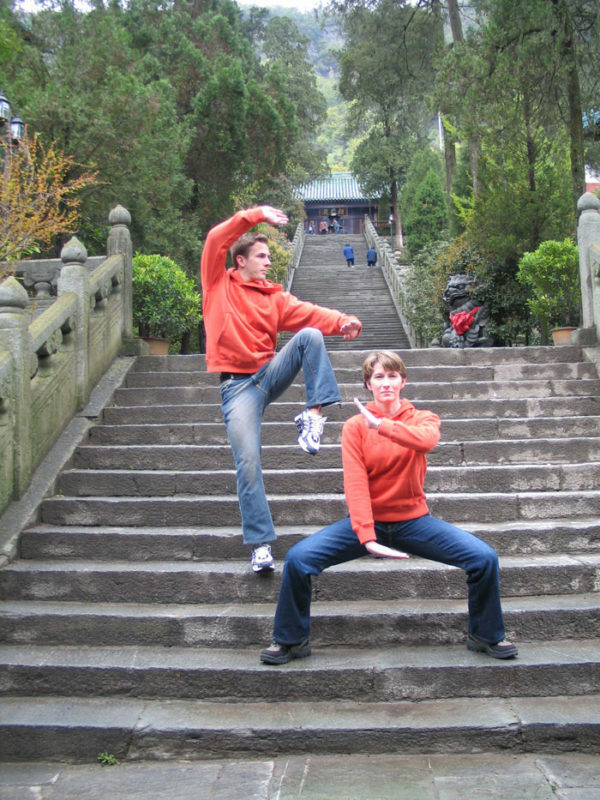 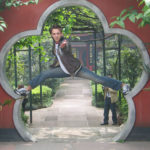 Practicing Kung Fu moves on the stairs up to Parents Hall, built in honor of Zhenwu who is the most revered Daoist God. 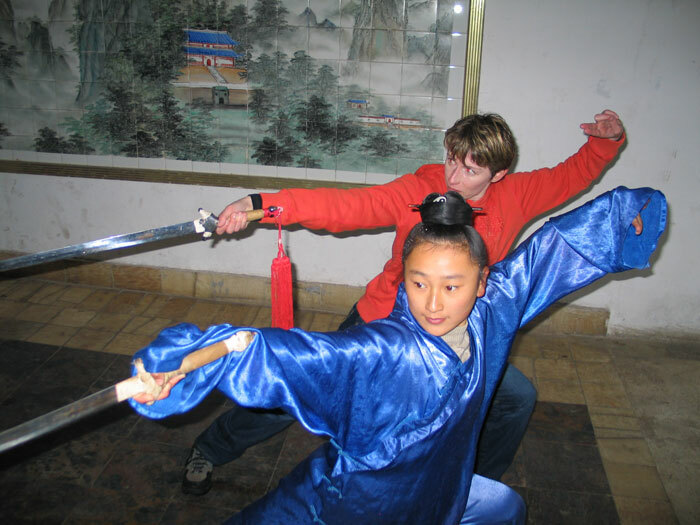 Kristi learns from a nun at the Academy of Wudang Daoism Wushu Arts. 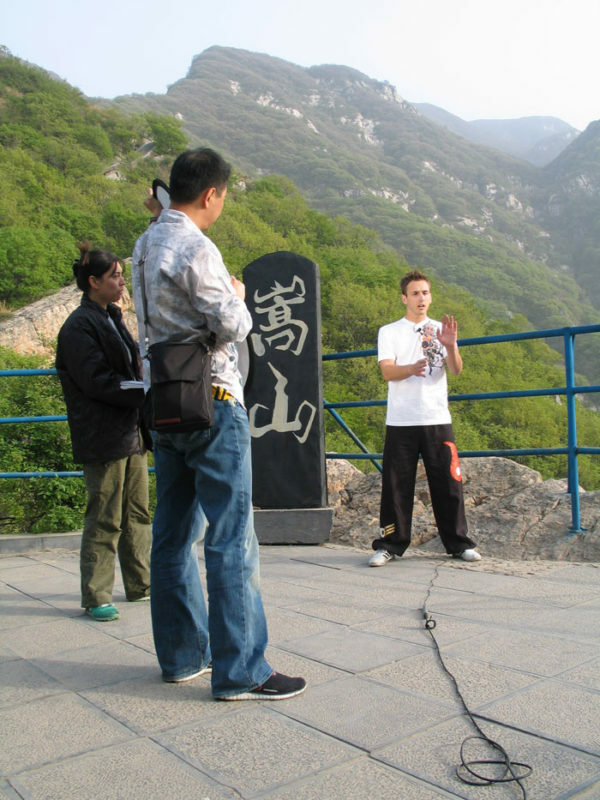 Adam learns from a priest at the Academy of Wudang Daoism Wushu Arts. 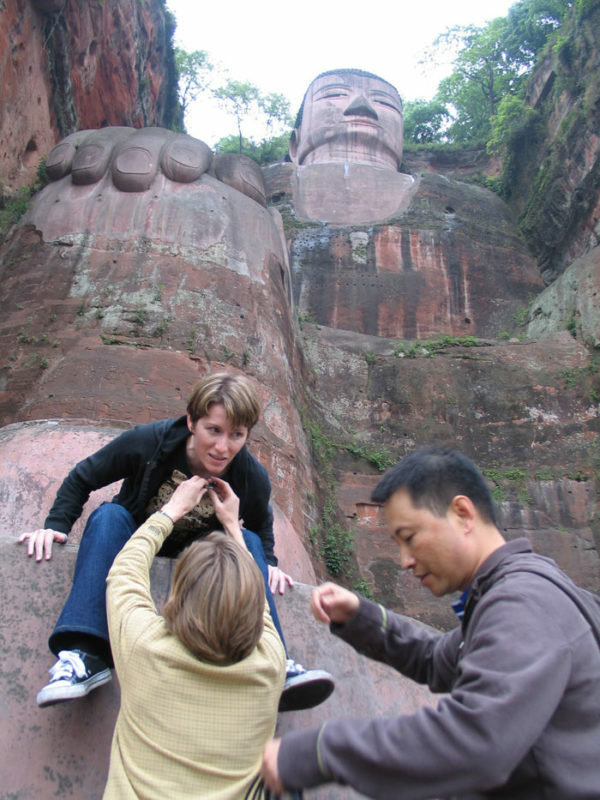 Kristi and Adam posing in front of the Leshan Grand Buddha. 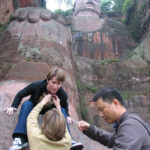 From this angle its easy to see that this is the biggest stone Buddha sculpture in the world. 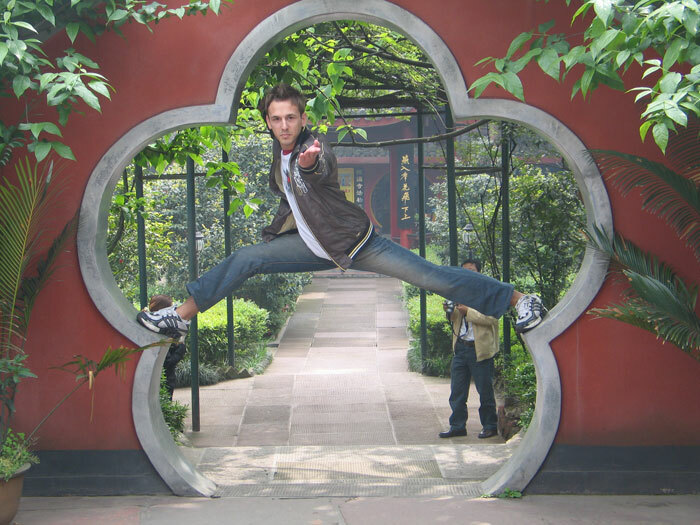 Adam balances on this plum flower gate at Baoguo Temple, the center for most Buddhist festivities in Emei. 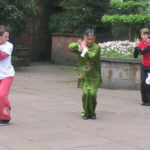 Master Fu teaches a lesson in the Fire Dragon Form at the Long Life Monastery. 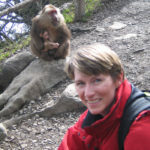 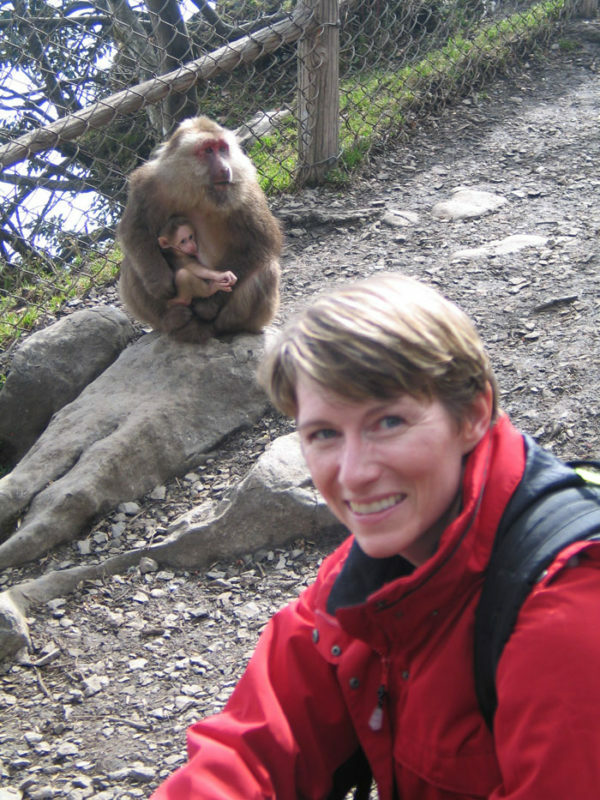 Animal-lover Kristi hikes through an area infamous for its naughty monkeys. 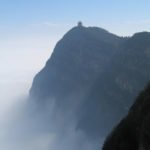 Emei’s majestic Wanfo Summit in its classic form, above a sea of clouds. 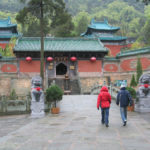 One of the many gateways renovated after the release of Jet Li’s 1982 movie, “The Shaolin Temple”. 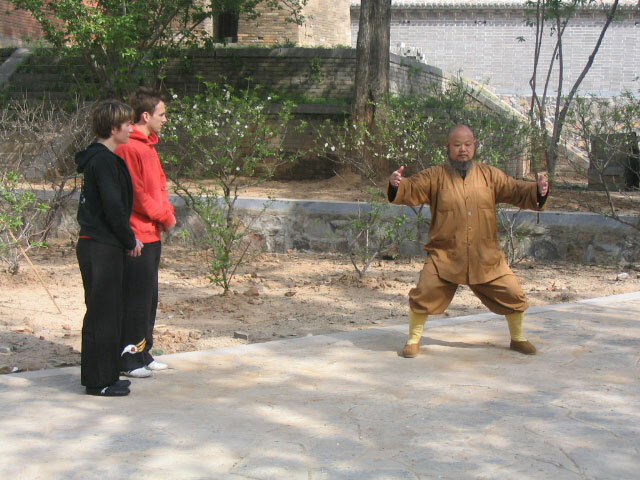 Zhi Yanzhuang, one of the top two monks at the Shaolin Temple, demonstrates Qigong. 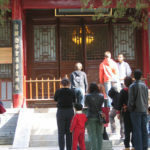 A special meeting with the Head Abbot in his room, the Dragon Hall. 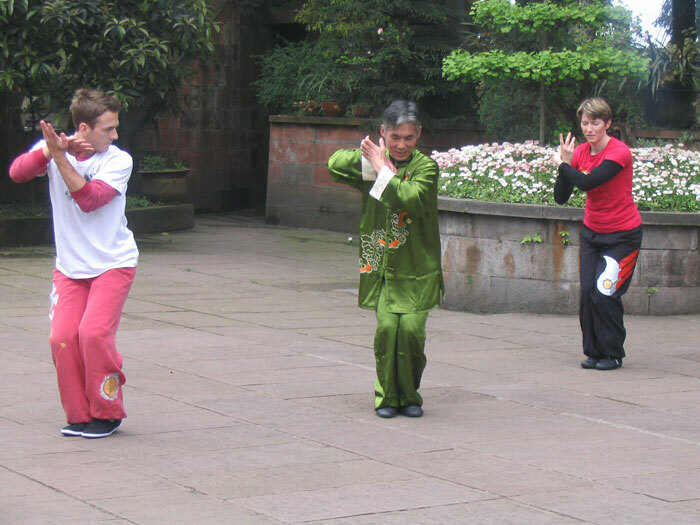 Members of the Songshan Shaolin Warrior Monk Delegation give a lesson at the Pagoda Forest. 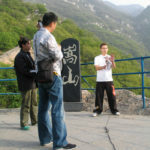 Adam recaps day 7 on the top of Song Mountain, at an elevation of about 5,000 feet. 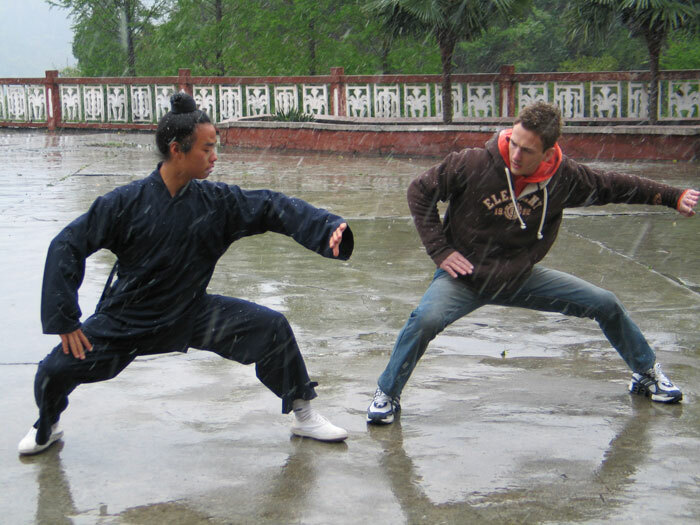 An early morning practice in the rain with students of the Henan Dengfeng Shaolin Epo Wushu School, which has over 8,000 students. 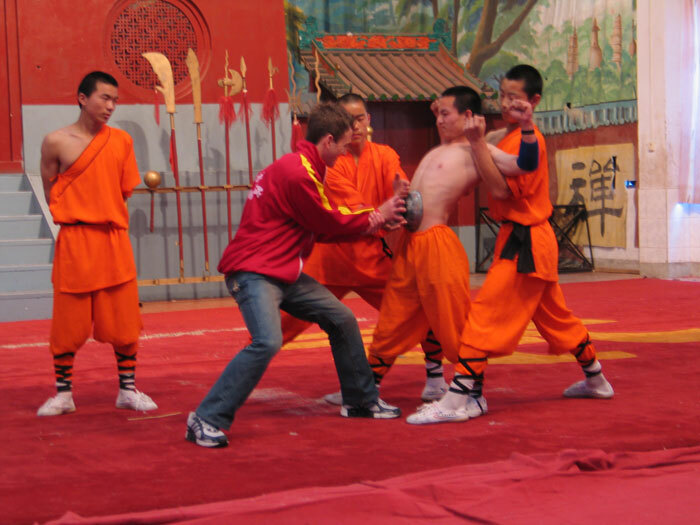 Adam attempts to pull this bowl off this student in a performance of Qigong. 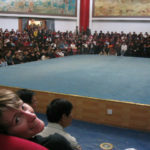 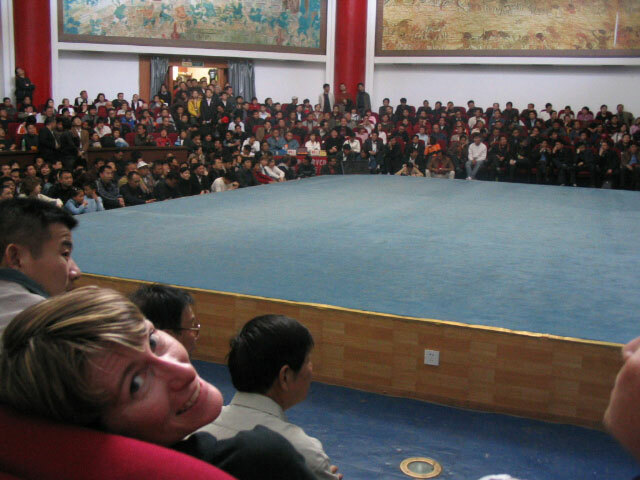 Kristi takes in the growing crowd of 800 as she prepares to participate in the next set of performances of “The Shaolin Show”.